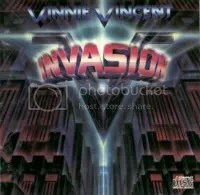 The original VVI album was decent. There were spurts of creativity, but Vinnie failed to check his ego at the door and rein in his own guitar playing. He was playing for himself and not for the songs. With this album, he does a bit of a better job, though there is still some directionless noodling to be heard. There is one vast improvement on this album though: the original singer Robert Fleischman is out and Mark Slaughter is in. Nothing against Fleischman, but Slaughter is a much better vocalist for an over the top glam metal band like this one. Fleischman’s voice is best suited for the AOR/melodic rock genre, which is where his roots are, having briefly sung for Journey. This band needed a squealer to match the squealing of Vinnie’s guitars and they that found that singer with Mark Slaughter. The bottom line for this album is that if you love glam & hair metal, this is one of the essentials because it embodies the good and bad of those genres to the fullest. Of course, the band would split up not too long after this album and Dana Strum & Mark Slaughter went off to form the band Slaughter, which was even more successful than VVI. As for Vinnie himself, barely a peep has been heard from the man in the last 20 years (outside of a lawsuit here or there and some co-writing for KISS’ Revenge album). The planned follow up to this album was Guitars From Hell (which, in demo bootleg form, is floating around) but it was canned by the record company. He did manage to squeeze out an EP called Euphoria in 1996 as a teaser to another album tentatively called Guitarmageddon, but that never arrived either for whatever reason. I guess he’s done with music, which is a true shame, because he’s extremely talented. Maybe he should form a new band with Ace, Bruce and Peter. “The Meltdown” and “Ya Know – I’m Pretty Shot” are both instrumentals that were exclusive bonus tracks for the CD version. 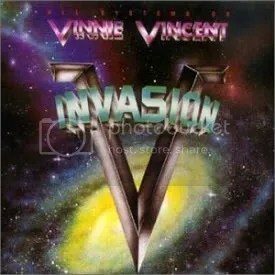 I’ve got a lot of respect for Vinnie Vincent. He wrote and/or played on some of the better non-makeup KISS songs. His personality didn’t mix too well with Gene & Paul and according to Gene he was fired for being “unethical”. In my own opinion, I think it probably had more to do with a struggle for power and control over songwriting, but then again, that could possibly cut Gene out of more than his fair share, so I guess to him losing money is unethical! So how does the co-writer of KISS classics such as “Unholy”, “I Still Love You”, “I Love It Loud” and “Lick It Up” fare on his own? Well, it’s pretty generic 80s melodic hard rock/heavy metal with your generic nasally melodic rock singer. I guess Gene & Paul were right to cut Vinnie off during the middle of live solos and to edit the solos he recorded for the KISS albums because the guy is kinda all over the place. There’s just so much senseless noodling that it actually distracts and takes away from the songs. The talent Vinnie possessed cannot be denied, but maybe he really did need someone like Mr. Simmons or Mr. Stanley to rein him in. Most of the album is very slick and polished and while you can say the same for the songs he wrote with KISS, there was still a bit of edge to those songs that I’m not hearing here. The song that stands out the most to me is “Back on the Streets”, but I prefer Europe singer John Norum’s 1987 cover version.